Ajinkya Rahane might not be in the thick of action at the moment as India finds itself in the middle of the limited-overs leg of their long tour of England. However, the India Test vice-captain has no time to think of what he could've contributed in the T20I and ODI series, and is instead focused on his preparation for the Test series that starts on 1 August. 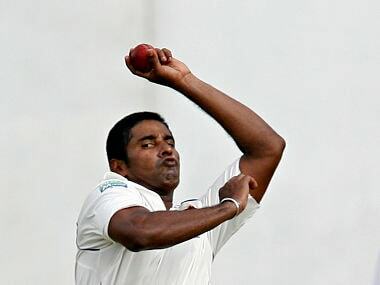 "I have been practicing with Praveen Amre sir and with the help of bowling machines. I have done some practice with the tennis balls as well as with half tennis and half rubber balls, which help in tackling swinging deliveries — both incoming and outgoing," Rahane said in an exclusive interview with Cricketnext. "The conditions there help the ball move a bit — depending upon the weather. If it is cloudy, the ball moves a bit and if it’s sunny then the wickets are pretty good to bat on. 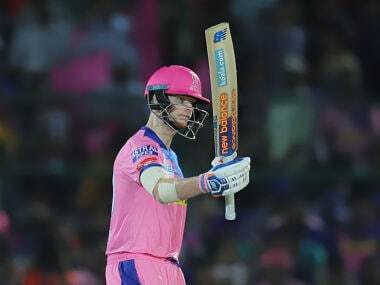 I want to cover each and every aspect of batting, so that I am able to tackle any type of condition which we will be facing in England and do well there." While there are little doubts over Rahane's spot in the Test side, the Mumbai batsman didn't find his name in the squad for the one-dayers against England, despite enjoying a good run of form in recent one-dayers. In T20Is, Rahane's inability to switch gears on the word 'go', as was evident in his average run for Rajasthan Royals in the recently-concluded Indian Premier League, hasn't helped his case in the 20-over format either. "I don’t think that this (being left out of the ODI and T20I squads) is affecting me," he said. “The important thing is to believe in your abilities. I am aware of my capabilities and how good I am. It is all about believing in yourselves, rather than thinking about things that are not in your control. "It is part and parcel of a professional cricketer’s life. I know I can make a comeback and I have really done well in the shorter formats in the past. I think, right now, the important thing is to practice hard and go out there and enjoy myself. For me, it is important to serve my country, be it any format. It is important to contribute to my team’s cause and do well for my country." Rahane additionally said that the players will be well acclimatised with English conditions by the time the first Test at Edgbaston starts off on 1 August. The lack of preparation is believed to be one of the reasons behind India's loss to South Africa in the three-Test series earlier this year, with the Virat Kohli-led side going headfirst into the Tests without going through any practice games first. "Most of the guys are already there and I think getting used to the conditions there is very important,” he said. “I am also playing an India 'A' game there and after that we will play a practice match on 25th. "So, I think two matches before the first Test will boost our confidence. I always believe that whenever we go to play in other countries, if we are familiar with the conditions before the first day of the Test, then we are in good shape." 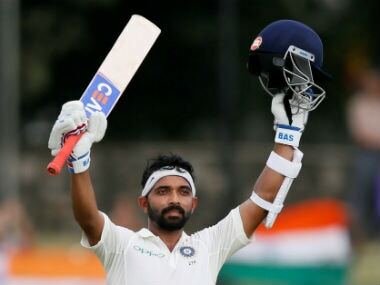 Rahane additionally defended the Yo-Yo Test that has been in the headlines of late, with the likes of Ambati Rayudu, Mohammed Shami and Sanju Samson failing to secure a spot in the Indian team for failing the Test. Both skipper Kohli and coach Ravi Shastri are staunch supporters of the test, and have stressed on the importance of maintaining peak fitness at all times, something that Rahane agreed with. "They (Indian cricketers) are all prepared for it (Yo-Yo test),” Rahane said. “The culture right now in the team is to focus on fitness. We have been playing so many matches, it is only good for the players. "If you have the cricketing skills and your fitness is up to the mark, you can go miles. Our intention is to make the team number 1 in the world, in all the formats. We believe that whatever fitness test is happening, it is really good for the team."